Inspired by vintage Levi's® jeans. The high rise Wedgie Fit hugs your waist and hips, showcasing your best assets. This season, Levi's® is introducing the bestseller with a classic straight leg. 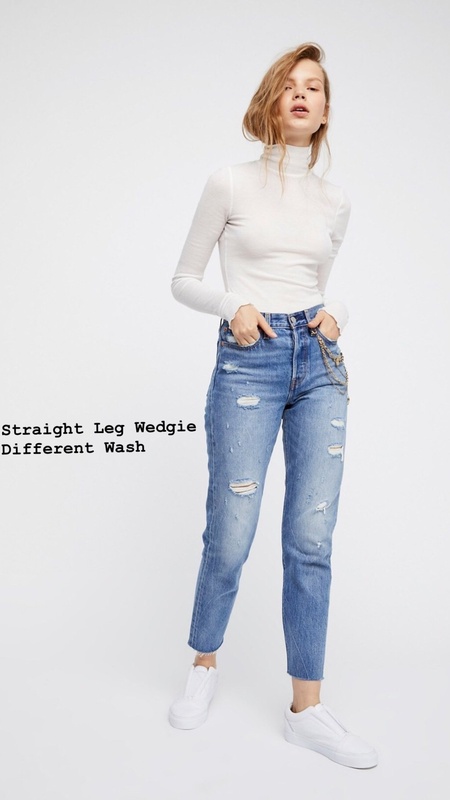 ***This two tone wash is so new, it hasn’t being released by Levi’s. We don’t have any brand imagags but please see the wedgie fit and the photo of the front and back two tone wash.